NEWS TIP? Contact us by phone or email! Eat Well to Be Well: Hormones in beef – Should you worry? 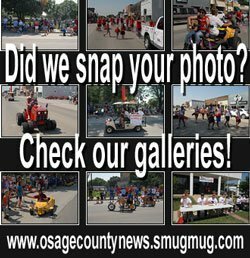 View and share our photos of Osage County! TOPEKA, Kan. – William “Bill” Donald Linden Jr., 69, of Topeka, Kan., passed away Jan. 26, 2019. He was born Aug. 14, 1949, at Emporia, Kan., the son of William Donald and Nathalee (Harrison) Linden. Bill graduated from Overbrook High School, Overbrook, Kan., with the class of 1967. He excelled at sports in his school years and was an avid Jayhawk, Chiefs and Royals fan. He will be dearly missed by all who knew him. He is survived by his father, William Donald Linden and his wife, Pat, of Topeka; brother Rick Linden and his wife, Jane, Troy, Ohio; sisters Jill Olson, Ft. Worth, Texas, and Kim Wikle and her husband, Richard, Birmingham, Ala.; nephews, Ronnie (Jessica) Wikle and Chris Linden: nieces, Elizabeth (Daniel) Mann, Laura (Sydney) Barnard, and Lorna Wikle; five great-nephews and nieces; loving cousins; and Aunt Shirley Fischer, Ottawa, Kan.
Bill was preceded in death by his mother and a niece. A memorial service will be held at 11 a.m. Saturday, Feb. 2, at Maranatha Baptist Fellowship Church, Topeka. Private family inurnment will follow at Mt. Hope Cemetery, Williamsburg, Kan. The family will receive friends at 10 a.m. before the service at the church. Memorial contributions may be made in Bill’s memory to the Maranatha Baptist Fellowship Church, 4935 SW Burlingame Road, Topeka, KS 66609. OCN E-Edition - Delivered to your inbox daily. Click here for more calendar events! Home Town Health Care is the newest local business to join Osage County News' Marketplace. Home Town Health Care LLC is your only home health and hospice agency located in Osage County. Our Home Health services are for persons who have health care needs and able to be at home. Our Home Care includes in-home services that provide the little extra help needed to keep loved ones in their home, healthy, happy and safe. Home Town’s Hospice provides quality care for patients with a terminal illness who choose to focus on comfort. Call today for your assessment. Home Town Home Town Health Care’s local office is at 715 Washington St., Lyndon, KS 66451, call 785-310-0000, or see www.hometownhealthcare.net for more information. OSAGE CITY, Kan. – A Yukon, Okla., barbecue team has become the first team to be a three-time grand champion at the Smoke in the Spring State BBQ Championship, at Osage City, Kan, after claiming that title again Saturday. Clark Crew BBQ, with head cook Travis Clark, has been sweeping barbecue championships across the Midwest the last few years, and added another Smoke in the Spring State BBQ Championship to that tally after a tight competition among top cooks on April 13, 2019, at Jones Park, in Osage City. The team previously won grand champion at the Osage City competition in 2016 and 2017. Travis Clark, Clark Crew BBQ, left, accepts his grand champion awards Saturday from contest organizer Corey Linton, right, and Amy Linton. All burn permits in Osage County are suspended for today, Thursday, April 11, 2019, due to high fire danger caused by windy conditions. This is a no burn day with no outside burning allowed in Osage County. The permit suspension will be in effect until 8 a.m. April 12, 2019, but could be extended. Osage County Emergency Management advises the rangeland fire danger index will be in the high category this afternoon. High fire danger means fires can start quickly, spread furiously, and burn intensely. All outdoor burning should be avoided. The National Weather Service has issued a wind advisory in effect from 10 a.m. to 7 p.m. today. South winds 20 to 30 mph with gusts of 45 mph are forecast. A wind advisory means that sustained winds from 30 to 39 mph or gusts from 45 to 57 mph are likely. Steps should be taken to secure any lawn furniture or light weight objects. Smaller loose items may be blown around. Use extra caution when driving, which could be especially hazardous for those traveling in high profile vehicles. For more information about the burn ban, contact Osage County Emergency Management at 785-828-3323. Barbecue is featured at Smoke in the Spring, and the Taste of Osage City on Friday evening, April 12, 2019, offers the chance for everyone to taste what’s cooking. “Everybody is invited to this Friday evening’s sampling of barbecued meats at 5 o’clock,” Corey Linton welcomes. The evening’s fare is cooked up by about two dozen of the competition chefs, with food exchanged for BBQ Bucks, available on site. Beginning at 4 p.m., there’ll also be inflatable bounce houses for kids up to 14 (weather permitting). Live music will fill the recreation building as the band Chance Encounter, from Topeka, entertains with ’80s and ’90s party rock and guitar chaos, beginning at 8 p.m. A fireworks show is scheduled for 9 p.m.
“There’s no charge for the music, dancing, bouncing or booming,” Linton said. Osage County Emergency Management has issued a burn ban countywide for April 10, 2019. No outside burning allowed, and all burn permits are suspended. The ban is in effect until 8 a.m. April 11, and may be extended. 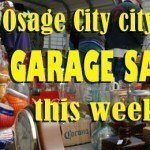 Osage County News shared a post. LYNDON – The Lyndon USD 421 Board of Education filled the district’s opening for a new superintendent on Friday, but created a vacancy at the high school at the same time. The board announced today that it hired Lyndon High School Principal Brad Marcotte as superintendent of the district, effective July 1, 2019. 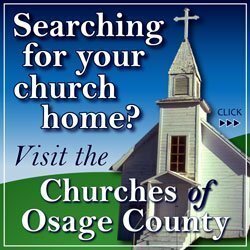 © 2019 Osage County Online | Osage County News. All Rights Reserved.